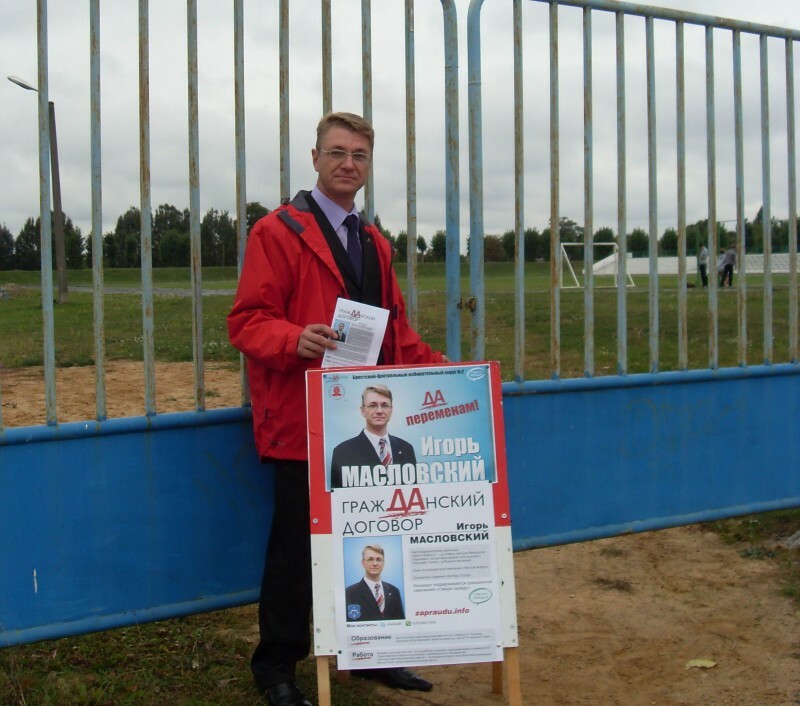 Ihar Maslouski, member of the Belarusian Social Democratic Party (Hramada) running for Parliament in Brest constituency No. 2, says the authorized election campaigning locations cannot be used for meeting with voters. One of the locations is the Lakamatyu stadium (fenced off with a concrete wall), the other is totally unsuitable for any kinds of events – a sports ground of local football school. “Back at the start of the election campaign I submitted a complaint to Brest regional executive committee and the Central Election Commission. The CEC’s reply suggests that the constituency’s territory has all the necessary campaigning facilities. We have visited the authorized campaigning locations, and having stood there for 20 minutes did not manage to distribute a single election leaflet, because the territory is situated far from populated areas,” says the candidate. Ihar Maslouski says he is going to submit another complaint to the Central Election Commission’s Chair Lidziya Yarmoshyna to demand explanations on how one can maintain election campaigning activities, when there are no voters to speak to in authorized places.